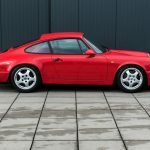 Last week I featured a 993 Carrera RS with the Clubsport package and this week we’ll look at its predecessor a 964 Carrera RS, similarly equipped as a Clubsport, a.k.a. the Carrera RS NGT M003 as designated by the option code for the model. 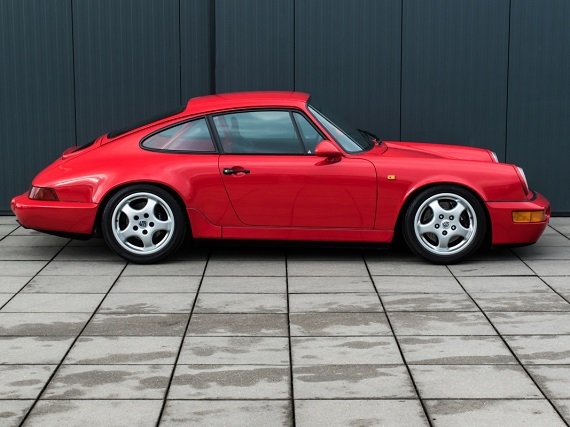 Of the air-cooled RS models Porsche produced the version for the 964 remains, for me, the best looking. Not necessarily the best, but best looking. It finds a better balance between aggressive and understated looks relative to its peers all packaged within a design that quite clearly makes known its classic 911 roots. 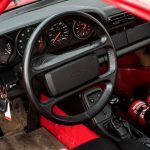 The 993 certainly takes a variety of areas of performance to better heights and for pure historical significance and rawness the original ’73 Carrera RS is hard to top. But the 964 works for me and should provide a road-going experience that meets most every demand I could concoct. The Guards Red example we see here is located in the Netherlands and sits with a shade under 42K miles on the clock. The total number of the Porsche 964 RS Clubsport NGT M003 that have been built are 290. This Car is unmolested, accident free and in first original paint. The numbers from the sticker in the service book, car and engine are matching with the original Porsche certificate which off course will be delivered with the car. A detailed history of the car is available, Starting with the hand written order confirmation in 1991. 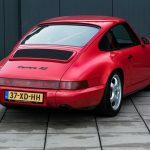 First invoice of the car in 1992 by the Porsche dealer, the german fahrzeugbrief and the car comes complete with a comprehensive history file. Everything is documented in a map. The car had 3 owners. Each owner has had the car for about 7 years. For those in the US, you’d probably need to wait until 2017 to try and import this RS, at least without having to jump through as many hoops. And, of course, depending on your intentions there is always the question of whether one of these makes sense relative to the Carrera Cup. For a while Cup prices seemed relatively reasonable, but I’m not sure if that’s still the case (I haven’t come across one in a while and the last one we featured had so few miles to make the comparison here not useful). 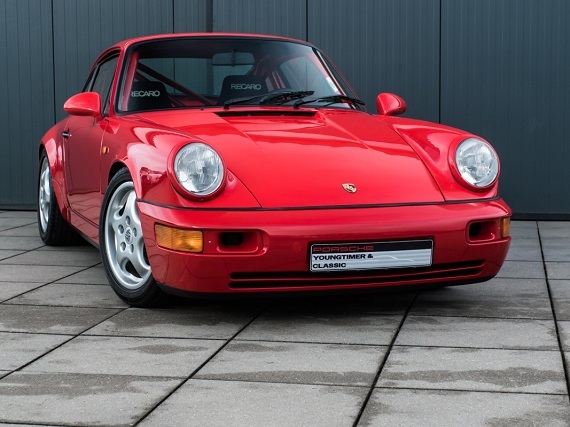 But given the very high asking price of this RS Clubsport, and the similarly high asking prices of most any 964 Carrera RS, the Cup would probably come in under that even if prices have risen significantly. 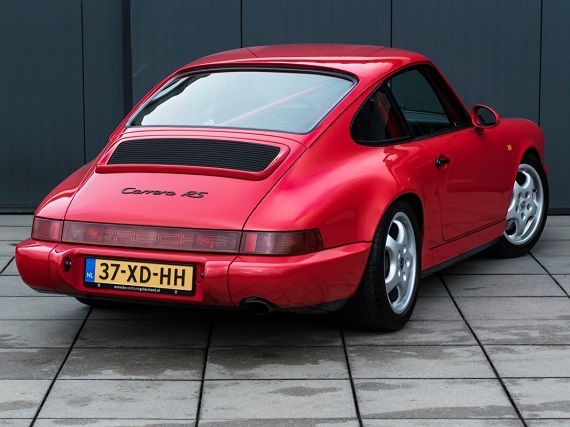 The Carrera Cup actually is more rare, with only 45 produced vs the stated 290 M003 spec’d RS produced for the 964. Which buyers would prefer, I’m not sure, but we may find out once importation into the US is legal. I would assume the true RS will offer better long-term value and thus may make sense for collectors. For the track, the Cup may still be the better option. At least we have such options. Tagged 1992, 911, 964, air cooled, Carrera RS, Clubsport, Porsche.